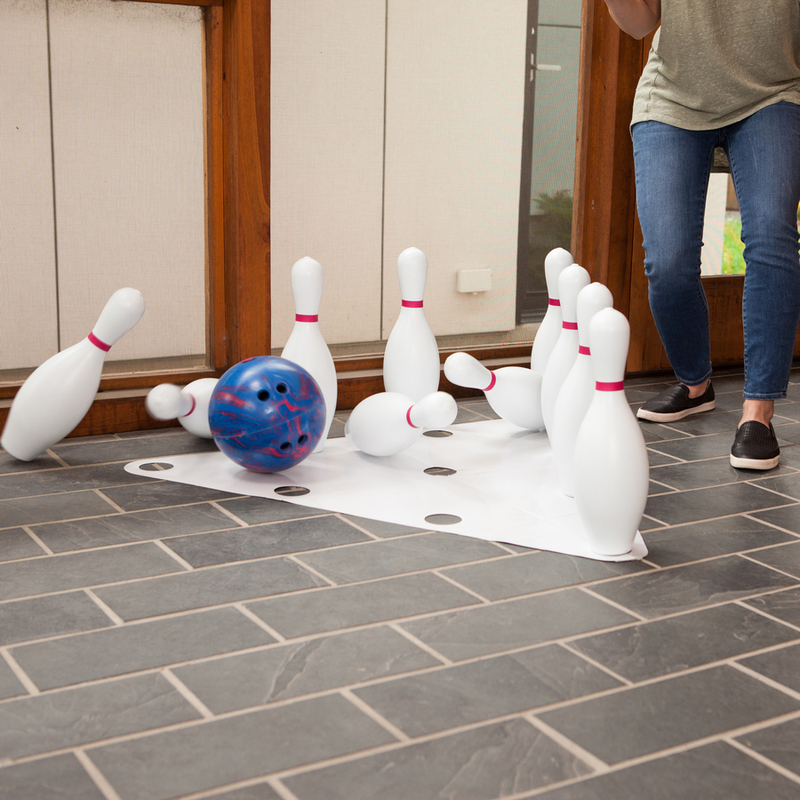 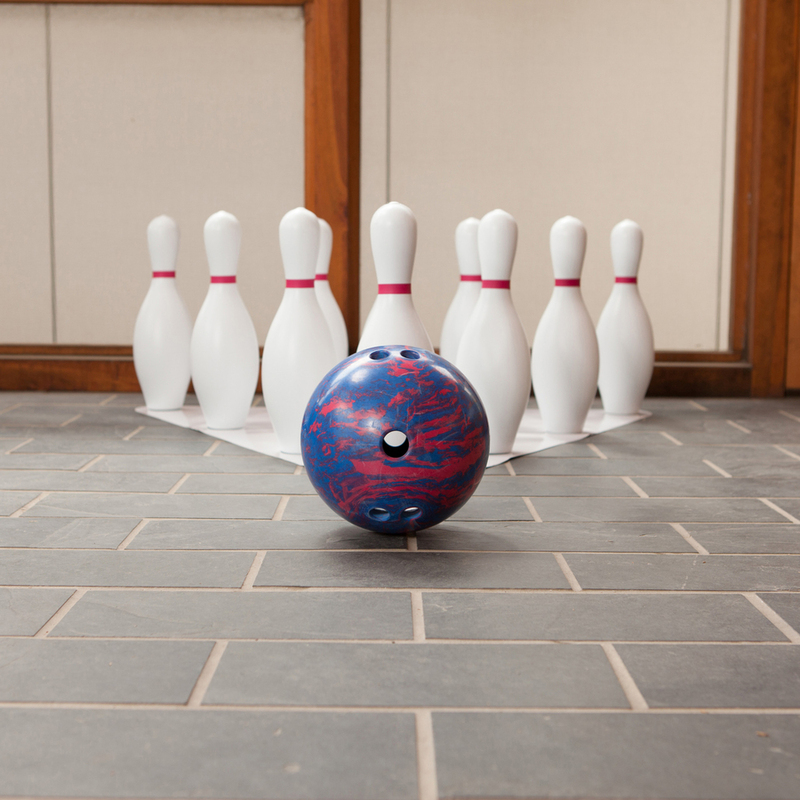 Bowling ball set lets you create your own bowling alley anywhere. 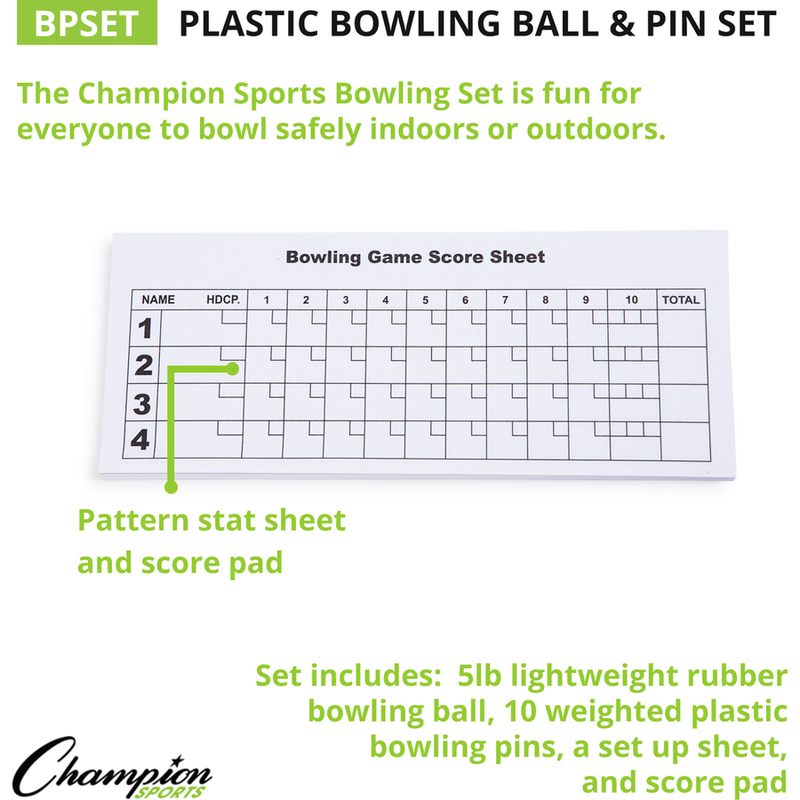 Lightweight design allows children to safely set up and play. 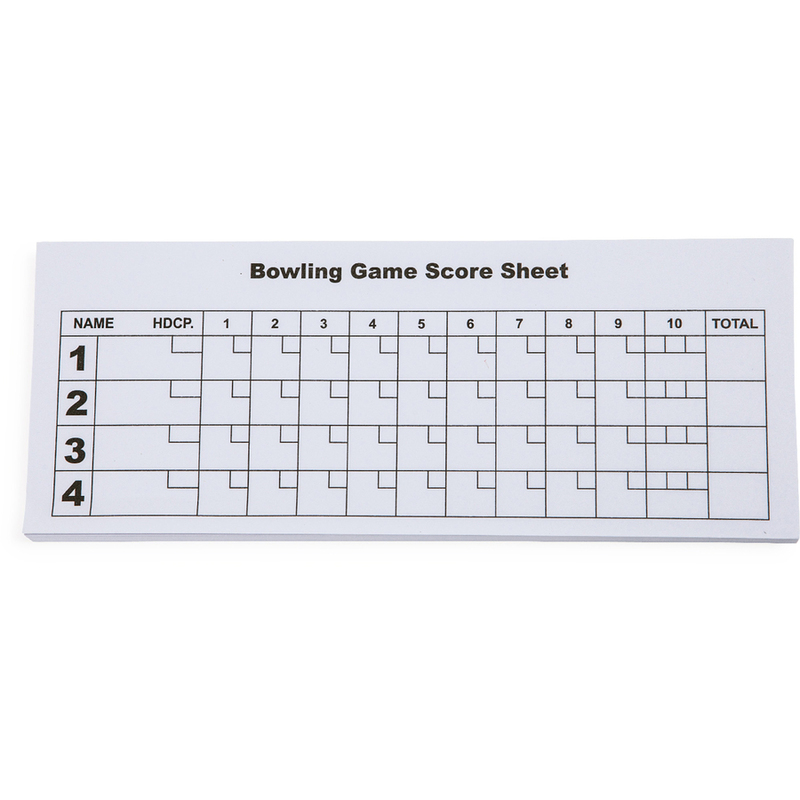 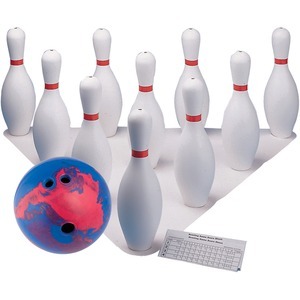 Bowling ball is designed with two sets of three-finger hole patterns for convenient use by all children. 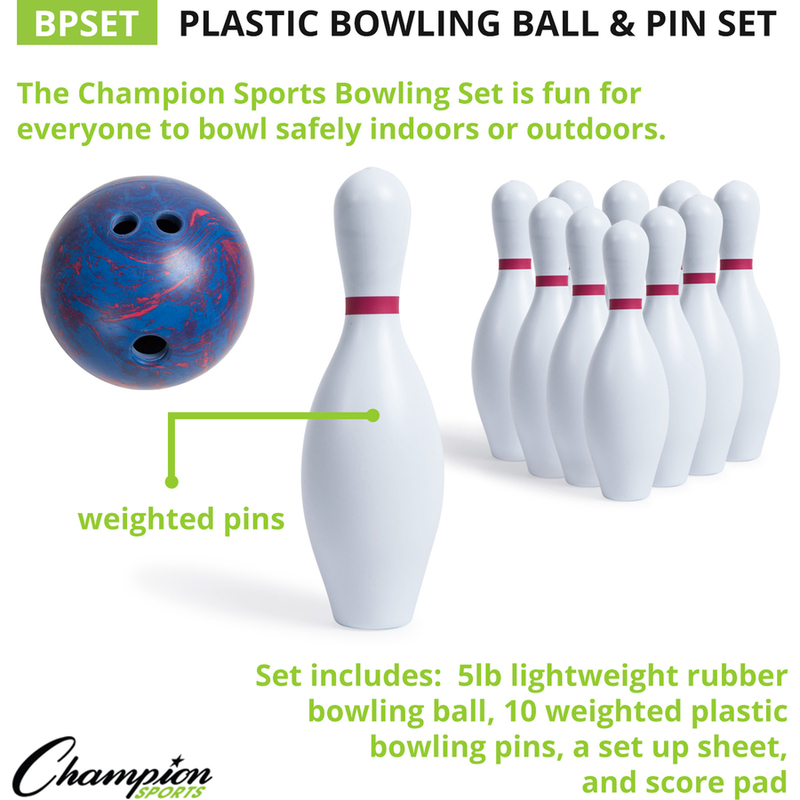 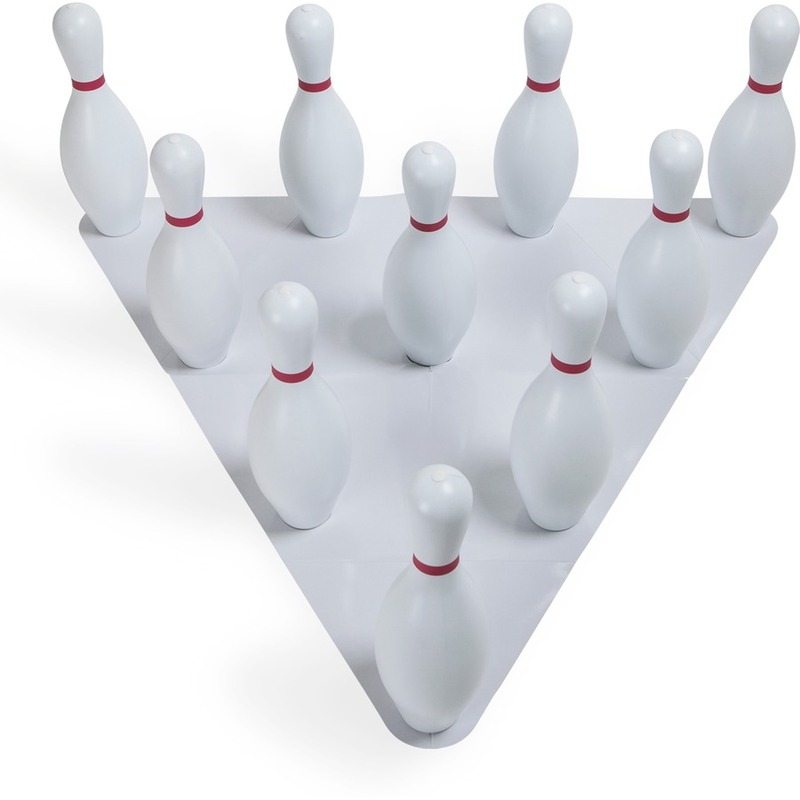 Bowling ball set is perfect for indoor or outdoor use.